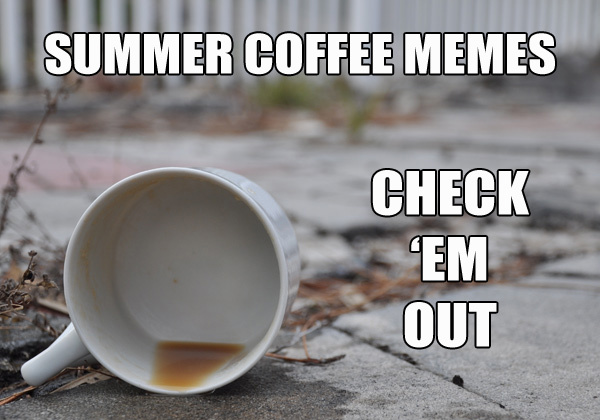 Our custom collection of coffee related Summer memes. 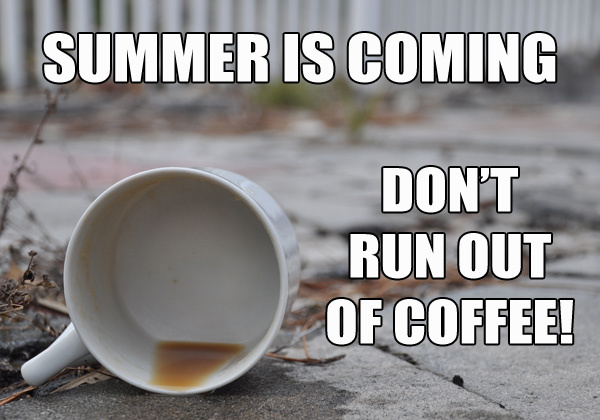 Enjoy your June, July, and August before it passes you buy. 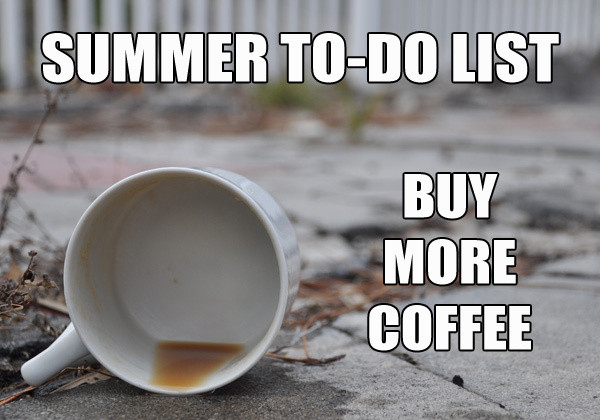 What a better way to spend it than to browse the web for Summer coffee memes. 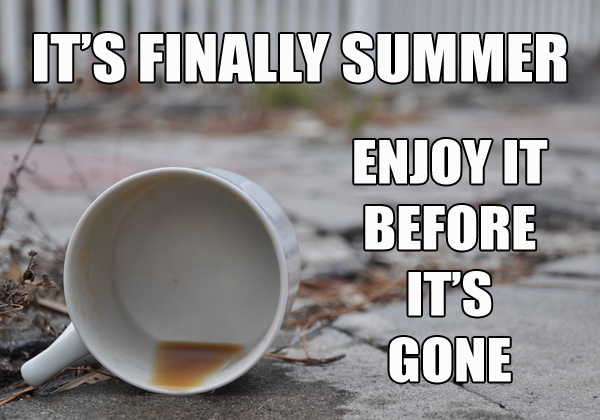 Save the browsing for a rainy summer day or it will be September before you know it. 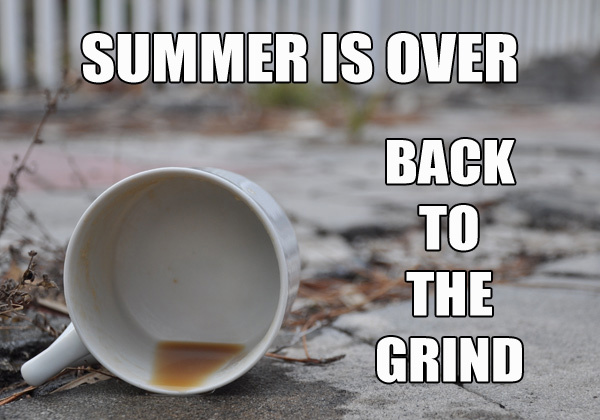 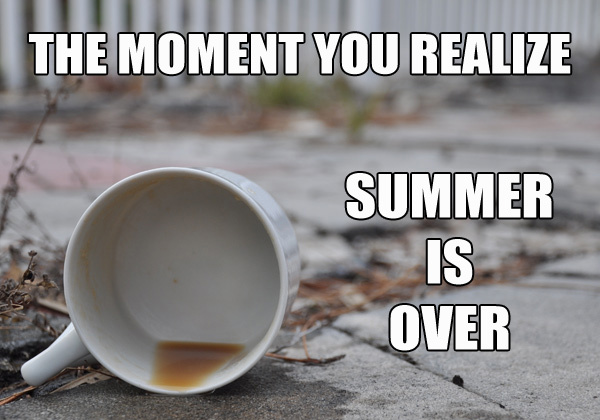 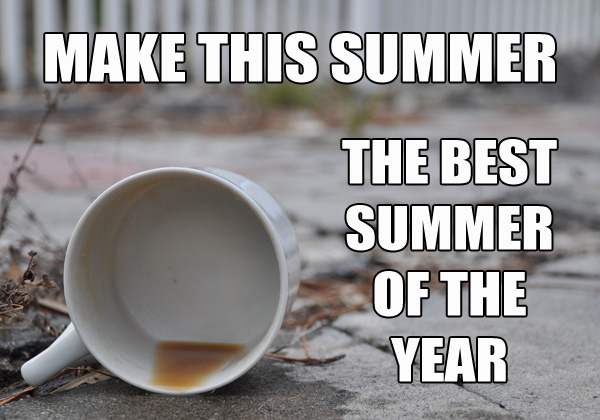 Start our slide show of Summer coffee memes.